Emmybear - Necessities: Valentine, where art thou? It's that time of year again. Christmas and the New Year are long forgotten now the bins have been emptied and the last of the turkey finally eaten. Spring and Easter are on the horizon, but first we have Valentines Day. I feel obliged to make a card or two. not that I'll be sending any. My first one is very simple and I hope elegant. Mainly white, with just a touch of colour. I used the Falling Petals TIEF on a piece of white card stock slightly smaller than my card front. 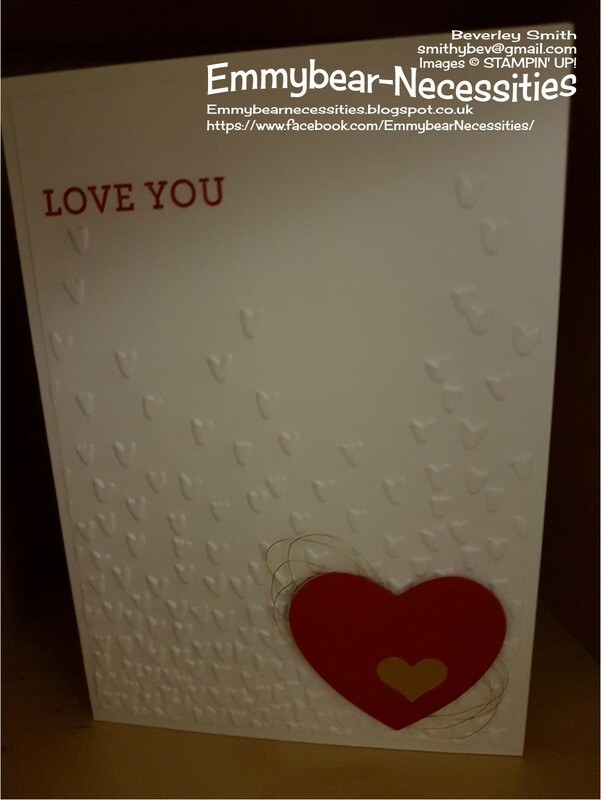 The sentiment was stamped directly onto the embossed card in Real Red. 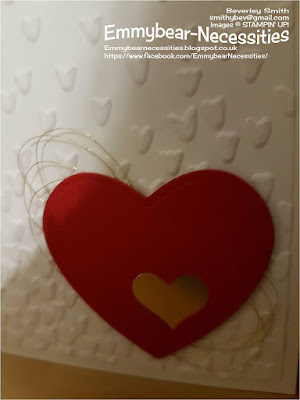 A punched - you could use a die cut - heart was placed bottom right to create balance. For added interest without making it too fussy, I punched a small heart out of the larger one and inserted a gold heart in the space. Gold metallic thread was looped and placed behind to finish it. Such a quick and easy card to make. I hope you like it.